Do you love giving gifts rather than receiving them? Willing to make money by giving gifts? A gift shop business is the kind of business you would want to dig in. You have got to keep in mind that gift shop business does not make a good amount of money. But you work hard, use a few tactics you might as well roll in money. Here are my few tricks to help you make money. Browse through other gift shops. Browse through the successful ones first and then to the unsuccessful ones. This way you will know how the successful ones are making money and what the reasons the unsuccessful ones are not making that much of a money. Google the rate of gift shop business around the world. Where you locate matters big time and also requires a good amount of money. I might have a good solution to this problem. You can buy a moveable cart. This way you can change your location from movie theaters to shopping centers to festivals. There are other ways, which may include selling your products at your home. Yes, your home. If you have a store room which is shut down for years, covered with spider webs and dust. You might want to clean that room, throw away the unnecessary stuff. Decorate it with attractive lights. Buy some shelves to put your products accordingly. This way you save a lot of money. Online business is the cheapest possible way to make money. This way you won’t require any location or money, just a good camera. You must promote your products. Your gift shop needs to attract your customers’ wants, rather than their needs, so advertising is a must. Your marketing plan should be well written with a foundation if you want your business to be successful. Think about your customers. What would they want to purchase? How can you attract them? What are the services you could provide them? You can do a survey. You can ask random people on the street what kind of gifts they would want to buy or gift their loved ones. The survey will help you deduce, the majority and minority of products. Name or description of your gift shop business. You must have a name for your shop, like obviously. You might want to spend some time during this process. Choose an original, creative and attractive name. Do not forget to check it on the internet, making sure that no one else is using it. And then you give a description of your company. You can hire people if you cannot take the workload. But this will cost you extra which you would want to save. So my suggestion is to not to hire staff. The money can be used for merchandise. Do not forget to write down records for your gift shop and tax purposes. This way you will know how well you are doing financially each day. 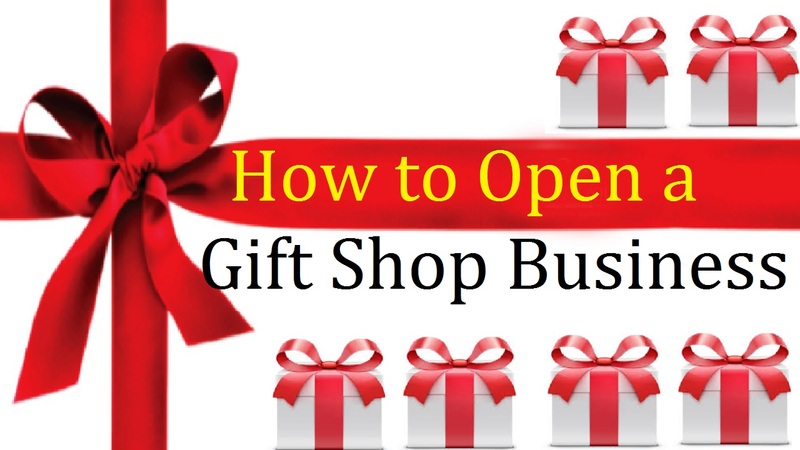 Therefore, Gift shops are small businesses which help you grow at a steady rate. If you want your business to grow, you have to stay dedicated. Do not get demoralized if you are facing losses at first. When you stumble then you can pick yourself up and go further.